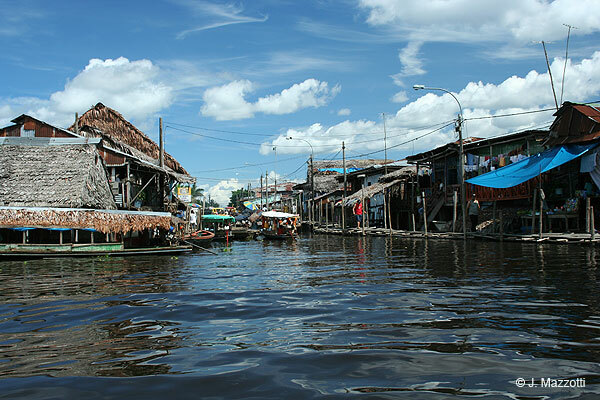 Iquitos was a village inhabited by the wild tribe called the "Iquitos" from whom the name was taken in the moment of its foundation in 1757 by Jesuit missionaries and evangelists. 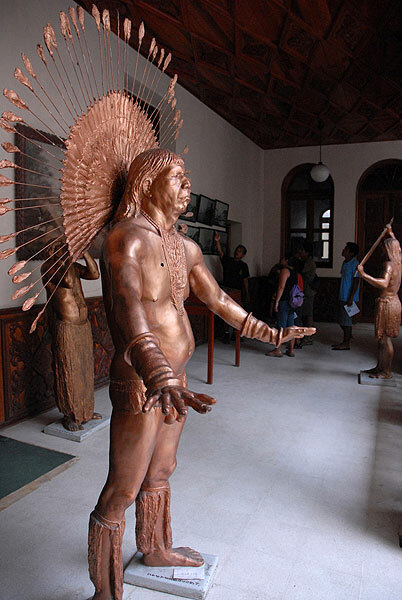 During the Spanish Colony and the gold fever caused by the legends of "El Dorado" (The Golden) and the "País de la Canela" (Country of the Cinnamon), Iquitos never had historical figuration. In 1883 began in this city the era and peak of the rubber, the exploitation of their latex and trade made that some reached immense fortunes, it brought the prosperity of the city and the construction of mansions of rubber barons began, some with tiles brought from Portugal. In those days, Iquitos had better communications, with Europe, through the Amazon River, better than with the city of Lima, and today is the world's largest city that cannot reached by road. The city is a prosperous, vibrant jungle metropolis and has great commercial activity, port, oil refineries, shipyards, a large timber industry and tourism. Iquitos has a river port and airport. In the downtown are located the main hotels, restaurants, bars and discos with fast-moving nightlife, also the shopping area, commercial and bank area. For some tourist, Iquitos is only the jumping-off point for exploring the jungle and journeys along the Amazon River. Surrounding by the City Hall, the Cathedral, social clubs, hotels and commercial establishments, is the social heart of the city and congregates many people during the evening. Designed at the peak of the rubber industry boom in memory of the fallen heroes from the War of the Pacific. One block from the Plaza de Armas, on the banks of the Itaya river, it offers breathtaking panoramic views of both the area and the floating neighborhood of Belén. Walking around the area, visitors can see important historical monuments, restaurants and cafés. The esplanade has been redesigned with broad pavements, small plazas with gardens and a unique type of bandstand, which is a monument to biodiversity and the myths and legends of the Amazon region, handicraft market. After the evening many people, local and tourists, meet at the restaurants and centers of amusement of the boulevard. Located in Malecón Tarapacá N° 386. Built in 1863. The standout features of the museum are its large windows ending in rounded arches and protected by strong iron bars, its interior walls decorated with wood carvings, and the furniture that was in fashion during that period. 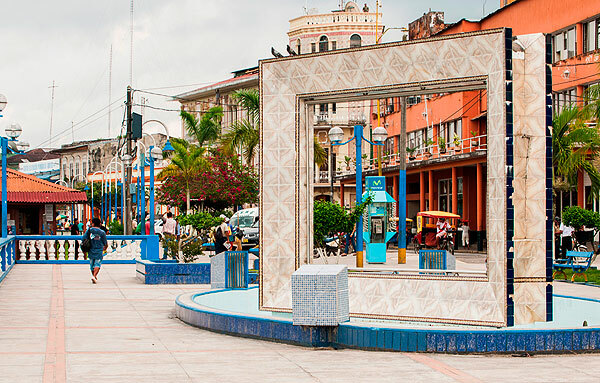 It holds a collection of 80 life-size sculptures in fiberglass, representing the main ethnic groups of the Peruvian, Brazilian and Venezuelan Amazon and photographs that tell the story of Iquitos City. The site is shared with the Biblioteca Amazónica (Amazon Library) with largest collection of historical documents and the Military Museum. Visiting Hours: Mon - Fri 8.00 am - 1.00 pm and 3.00 pm - 7.00 pm / Sat 9.00 am - 1.00 pm. Iquitos harbors, between the jungle's lushness and the Amazon's mysterious murmur, a series of architectural gems that surprise the traveler for the beauty of their forms and for the peculiarity of their style; these are the traces left over from the rubber barons, powerful land owners that made the jungle of Peru a true commercial paradise at the end of the nineteenth century. 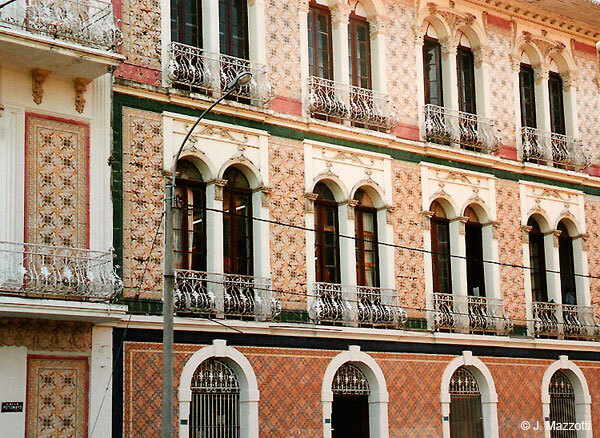 As part of the inheritance from the epoch, some singularly designed vestiges still remain: palaces richly decorated with azulejos imported from Portugal and Arabic bricks (the Rocha, Morey, and Cohen houses), Art Nouveau buildings (former Palace Hotel). Many buildings are located in front of Malecón Tarapacá and Raimondi St. 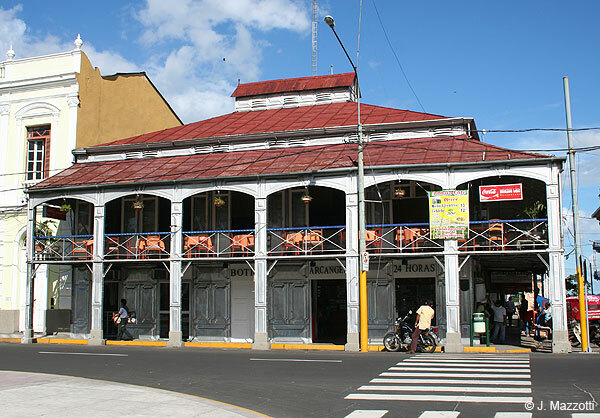 Built by the French engineer Gustave Eiffel for the Exhibition of Paris in 1889 and bought by millionaire called Anselmo del Aguila, the one who brought it in pieces to Iquitos, including bolts and nuts, and assembled it on its actual location, north west of the Main Square, corner Próspero & Putumayo St. It was made in Paris in 1860 and imported piece by piece into Iquitos around 1890, during the opulent rubber-boom days. The main commercial street, most of the businesses are located here, banks, ATM's, airline offices, travel agencies, craft markets, cloth stores, etc. Its origins date back to the beginning of the 20th century, and it comprises homes built on top of balsa wood rafts that float on the waters during the flood season. Over time, and as the population increased, the building pattern changed to fixed houses built on wooden slats (talafitas) and stilts up to two floors high: during the dry season, both floors are used, while during flood seasons only the second, higher floor can be used, as the entire lower area is flooded, and local inhabitants travel in boats and canoes, which is why the area is often referred to as the "Venice of Loreto". Tourists can take riverboat trips along the Itaya and Amazon rivers. Belén is made up of two areas: the high zone, where the market and main product supplier are located, and the low zone, an informal port and busy centre of trade movement for products from the jungle. Located on the left bank of the Itaya river, south-east end of town. Food in the Amazon is full of exotic delicacies. Chonta or palm tree heart salad is a delicious entrée. 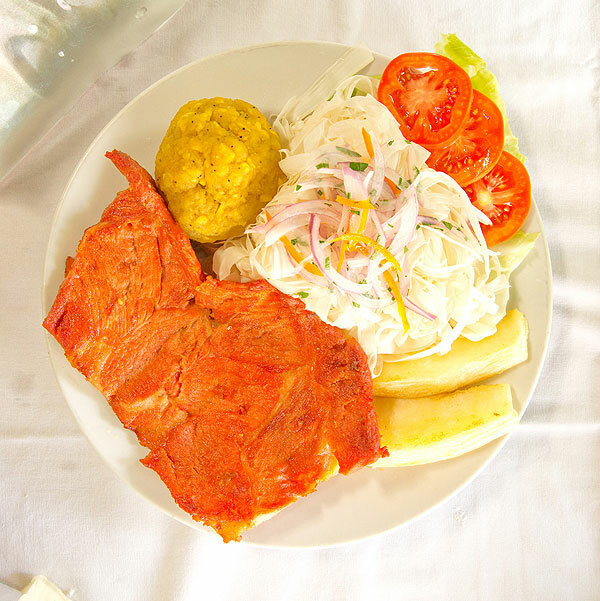 Meats and plantains are ever present in the main dishes, like grilled banana plantains (tacacho) with deep-fried beef (cecina) served with chopped onions and dried meat, or stuffed bananas, a banana dough stuffed with beef and peanuts. Fowl, fish and wild meat are indispensable ingredients in preparing "juanes" (rice dough stuffed with chicken and wrapped in banana leaves for cooking), grilled "picuro" (delicious wild meat), "apishado" or pork cooked in a peanut and corn sauce, and "patarashca" fish wrapped in banana leaves and cooked over a fire. Soups include "inchicapi" chicken soup with peanuts, coriander and manioc and "carachama" fish soup cooked also with banana plantain and coriander. Aguajina is a refreshing drink made from the "aguaje" a jungle fruit, while "masato" is a fermented manioc and sugar beer. "Chuchuhuasi" is a fermented beer made from the chuchuhuasi root, "uvachado" is prepared with grapes and "chapo" is a cooked banana, water and milk beverage. June 24th - In the jungle, Saint John the Baptist has taken on a major symbolic significance because of the importance of water as a vital element in the entire Amazon region. This is why June 24 (St. John's the Baptist's day) is the most important date on the festival calendar in the entire Peruvian jungle. The northeastern city of Iquitos hosts a variety of festivals and public events: fiestas with typical local bands where cooks dish up some of the regional cuisine, featuring tacacho (baked banana) and juanes (rice pastries), named after the patron saint, San Juan Bautista. This carnival atmosphere, redolent with the warmth of the local hospitality, has given rise to the myth of a special sensuality to be found in Loreto. It is widely held that the best aphrodisiacs are concocted in Iquitos, potions blended from fruits and herbs steeped in sugarcane alcohol, with strange and suggestive names. The best-known is without a doubt the chuchuhuasi, fermented from a local root. (June 21-27). Celebrations centered around the central feast day of San Juan every June 24.